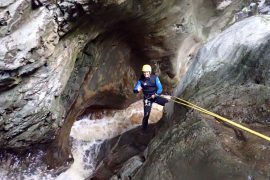 Our partner Splash Morocco offer fantastic canyoning trips in the Ourika Valley, just a short drive from their Riad base in Marrakech. 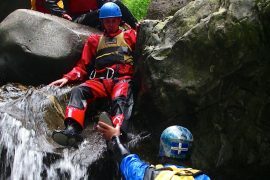 Experienced canyoning guides will ensure you enjoy the thrill of exploring the rivers and gorges in the foothills of the famous Atlas Mountains safely – canyoning in Morocco with Splash is an adventure activity that has thrilled and inspired many travellers, customers, as testified by our overwhelmingly positive reviews on TripAdvisor. 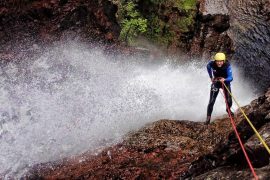 Canyoning trips in Morocco run all year round, and as Morocco experiences, significant changes in seasons every canyoning trip offers the potential to canyon in a variety of conditions (dry and wet). 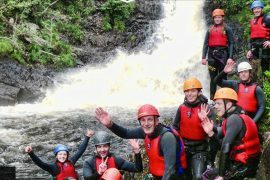 A good head for heights is required as you will be abseiling over some spectacular waterfalls, scrambling over rocks and wading through pools of water. 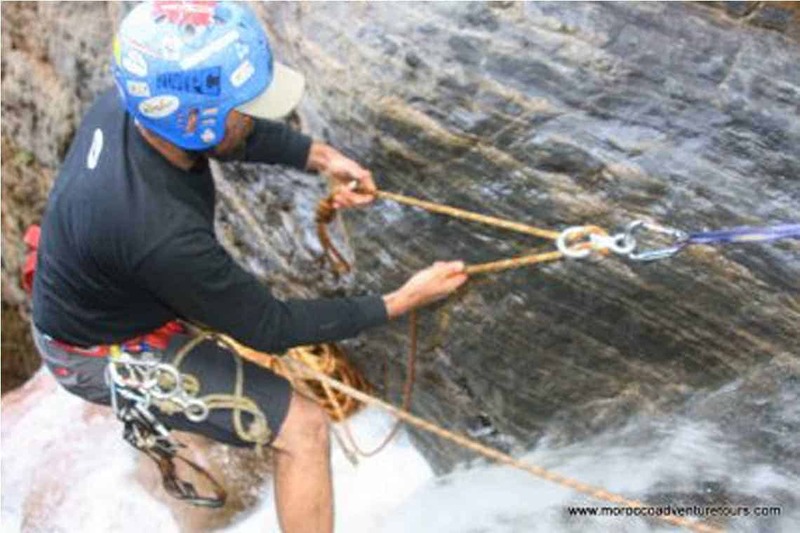 This is one of our most popular adventure activities in Morocco and should not be missed. Most canyon tours are half a day in length and are suitable for those 16 years plus and in reasonable fitness.